The universe, it appears, has been plotting to get me to spend less time on my computer. At least that’s the message I’m getting. First, my laptop self-destructed a couple weeks back. And then some of my credit card information was compromised… Bank of America sent me a new card but I forgot that I had my Internet set up with auto-pay using the old card. I was promptly cut off last night, just as I was getting ready to upload my photos and posts. Oops. 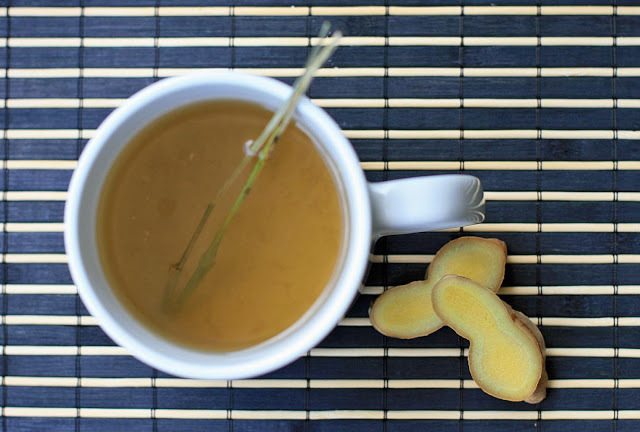 Until everything is resolved, I’ll be taking advantage of some free Wi-Fi and focusing on some really quick and simple recipes this week… like this ginger and lemongrass tea. It’s always one of my favorite hot drinks when I’m on a cleanse and caffeine is off-limits. I’ve never been much of a fan of the herbal teas available in stores but this homemade version always hits the spot. 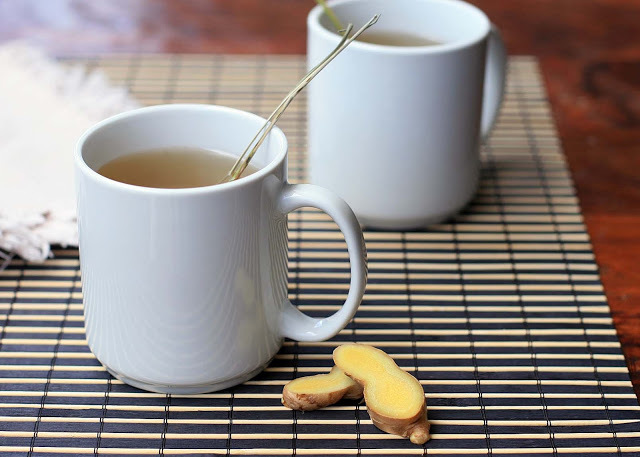 The ginger is warming and immune-boosting while lemongrass adds a fragrant and citrusy touch. * 3-4 bunches of lemongrass, woody ends trimmed. 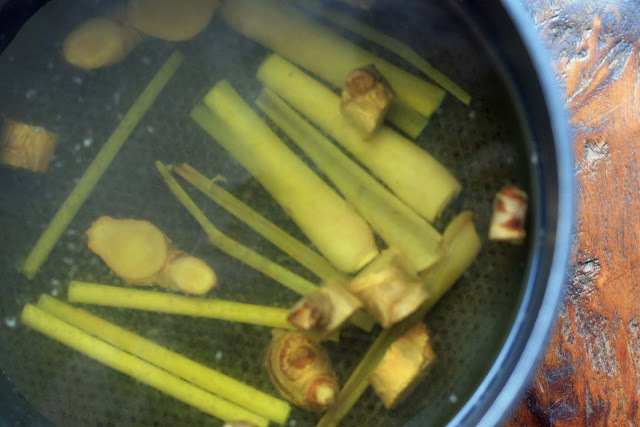 Use the back (blunt side) of a large butcher’s knife and give a couple whacks to the lemongrass to bruise the bulbs and release some of the oils. 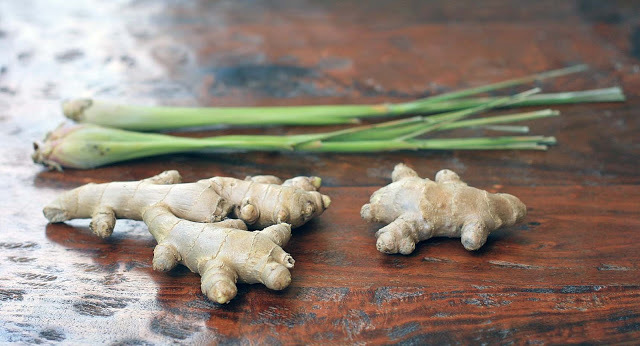 Combine the lemongrass, ginger and water in a large saucepan. Bring to a boil, lower heat, and simmer for 10-15 minutes. Drain and sweeten to taste with stevia or honey.